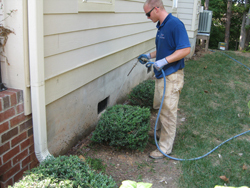 Ant Extermination for Raleigh-Durham-Chapel Hill and Beyond - Capital Pest Services, Inc. If you’ve ever had an ant infestation, you know what a headache it can be to get rid of ants from your home or commercial space. 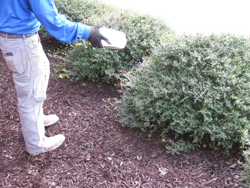 Capital Pest Services has been implementing powerful, effective ant treatment solutions for more than 30 years. Our certified ant control specialists will provide you with the right ant treatment for your specific situation to help eliminate any existing ant infestation and prevent them from coming back in the future. In the thirty years we’ve been in business, there’s no ant infestation we haven’t seen before. 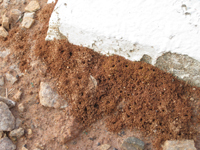 Whether you’re a victim of fire ant bites in your own backyard, or need to get rid of ants that have invaded your commercial space, Capital Pest Services has the right ant treatment for you. The process begins when one of our ant infestation specialists comes to your home or office to begin your initial treatment. We will assess your current threat level and examine site-specific and nearby contributing factors to the problem. Only when we’ve presented a complete picture of your unique situation will we implement our ant control solution. Whether you prefer a one-time service or one of our effective, affordable pest control treatment plans that offer year-round peace of mind, Capital Pest Services has the ant treatment solution for you. To find out more about how we can help you get rid of ants with one of our ant control programs, call us at (919) 847-8110 or contact us online for a free estimate from the Capital Pest customer service team. Call now!